So as if my Quilt Market adventures were not enough, I actually get to participate in ANOTHER fun fabric weekend. This time it’s a blogger meet-up in Los Angeles and we’re going SHOPPING! The fantastic Andrea of The Train to Crazy and Go To Patterns has organized this awesome weekend for us with help from Justine of Sew Country Chick and Bev of Flamingo Toes. Just imagine getting together with a group of talented and fabulous ladies to shop, eat and chat with who all just happen to love fabric and sewing!! It’s going to be fantastic. The ladies were able to hook us up with some great sponsors for the weekend as well . . .
Michael Levine is a staple in the Los Angeles Fabric District. I visited their main store this past winter and was in awe of their selection. I didn’t even get to check out their upholstery fabric store or the Loft where you can buy fabric by the pound last time, but hopefully I can this time around! Thankfully they have a great online store as well. Their online brand is lowpricefabric.com so you can shop along even if you’re not in LA! Oh, Jo-Ann! What would we do without Jo-Ann? I don’t know about you, but it’s still one of my main stops for my sewing necessities. Thank you Jo-Ann Fabric and Craft Stores for sponsoring Fabric Weekend 2013! Even in a fabric heaven like Los Angeles you still know you can find exactly what you need at Jo-Anns. We’ll also be stopping at Mood Fabrics, which has a new and improved store in Los Angeles. I’ve never been there, but I’m sure going to pretend I’m a Project Runway contestant as I wander aimlessly through the aisles and aisles of fabric! 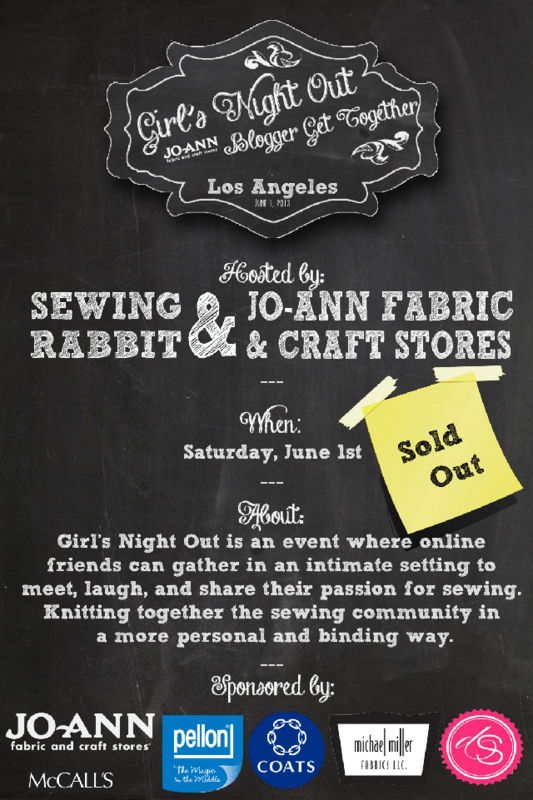 And as if that wasn’t enough fun already, Jessica, the Sewing Rabbit, has teamed up with Jo-Ann once again to host another fabulous Girls Night Out! I can’t wait! 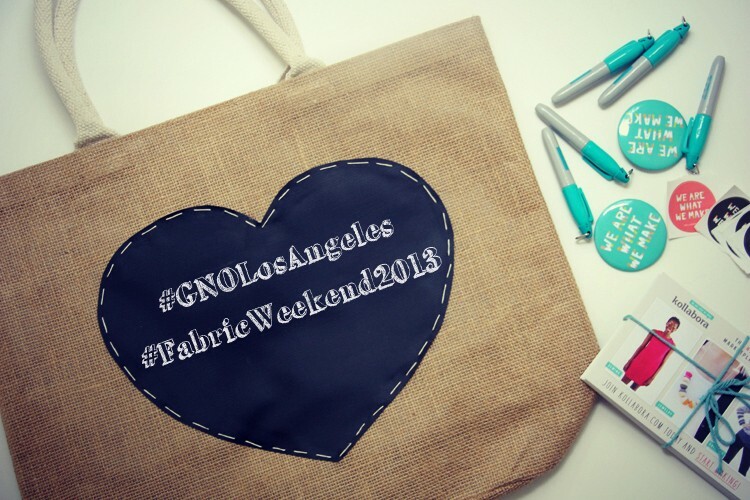 The girls and I will be posting on Instagram all weekend long like the addicts we all are, using the hashtags #GNOLosAngeles and #FabricWeekend2013, so follow along and join the fun! In fact, the fun already started yesterday with the first to arrive and pictures are being posted! Unfortunately, I’m not going to be joining until the second half of the weekend, so I’ll be following along on Instagram as well until I get to be part of the action! Can’t wait to experience it and share some of it with you. Maybe I’ll even come back with some extra fabric to share? 😉 Have a great weekend! well, darn it! How did I NOT know about this? I am in LA and it is a fabulous place to shop! Well, I look forward to your report. Oh man, it was great! How fun! Sounds like you have a ton of things planned, but if you need any last minute restaurant tips, sing out!